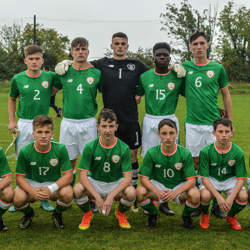 Republic of Ireland Under-15s were defeated 5-1 by a strong Czech Republic side, in their final International Friendly of the season. Republic of Ireland Under-15 secured an impressive victory in their international friendly against Czech Republic. For two international friendly games in Czech Republic next week, Republic of Ireland Under-15 Head Coach Jason Donohue has placed his trust largely in players attached to SSE Airtricity League clubs.